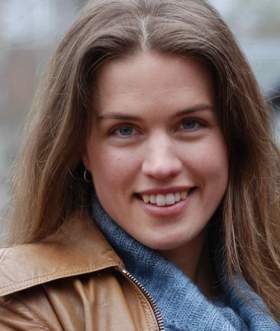 Now she works and lives in Sandane, a village situated by the Gloppefjord, a branch of the Nordfjord. 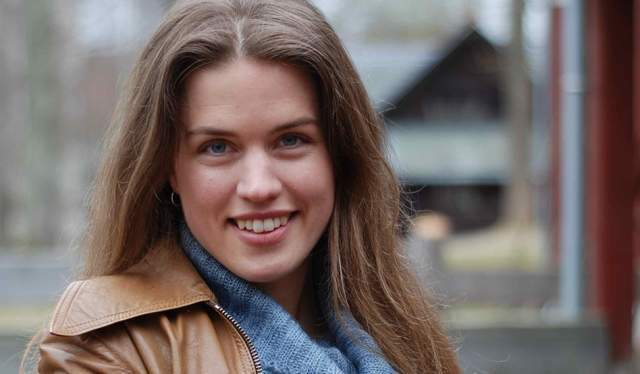 The head of department at Nordfjord Folkemuseum recently moved back to her cherished fjord landscape from Oslo, where she worked as a conservator at the Norwegian Folk Museum. Below are the places she would take family and friends to when they come to visit. Start your adventure by hanging out with the locals in the historic wooden village of Nordfjordeid in Nordfjord. See art exhibitions in the cultural centre Gamlebanken and take a stroll down the main street Eidsgata with its quirky shops and pleasant cafés. 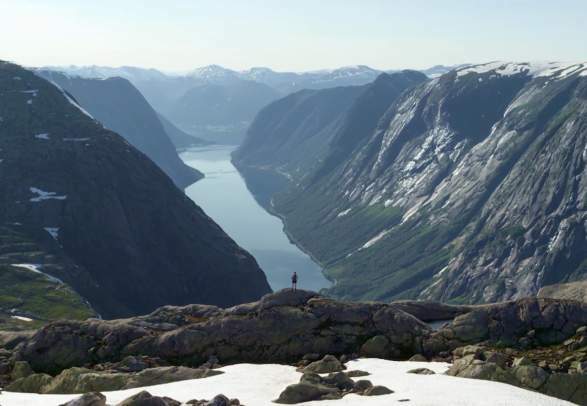 If you feel like getting closer to nature, Nordfjord offers wonderful hiking opportunities as well. Jump on the ferry from Nordfjordeid and enjoy the scenery along the way to Sandane, located at the end of the Gloppefjord. Start your adventure by hanging out with the locals in the historic wooden village of Nordfjordeid in Nordfjord. See art exhibitions in the cultural center Gamlebanken and take a stroll down the main street Eidsgata with its quirky shops and pleasant cafés. 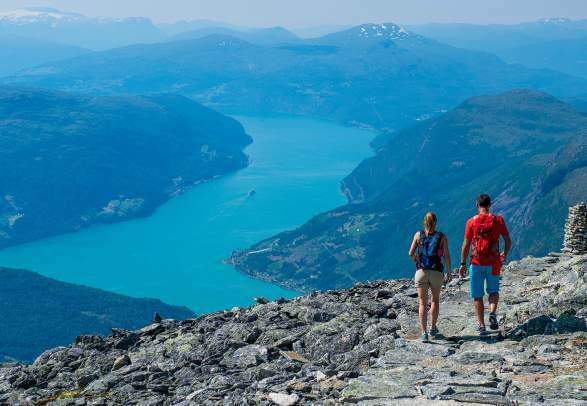 If you feel like getting closer to nature, Nordfjord offers wonderful hiking opportunities as well. Continue your holiday on ice. 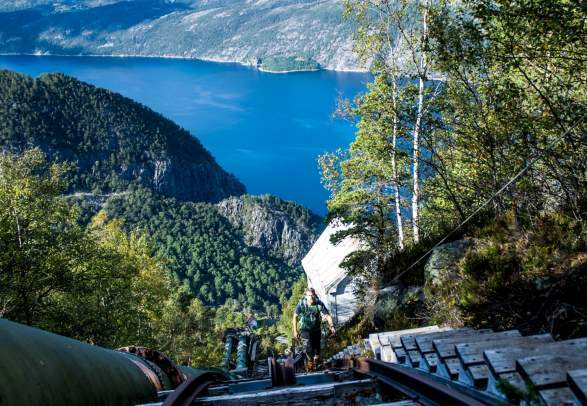 Only a one hour and twenty minute drive from Sandane, you’ll reach the Briksdalsbreen glacier, an adventure for the whole family. It is beautifully located north of the Jostadalsbreen glacier at the very inner end of the Oldedalen valley in Stryn. The walk from the parking lot to the glacier is suitable for most people. 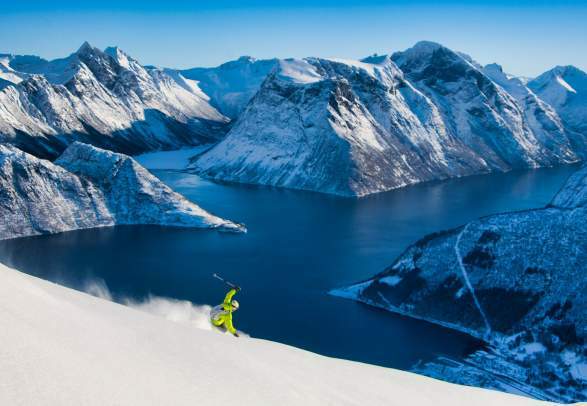 After the wonderfully surreal glacier hike the day before, go for something completely different with a visit to Ålesund and the underestimated Hjørundfjord. 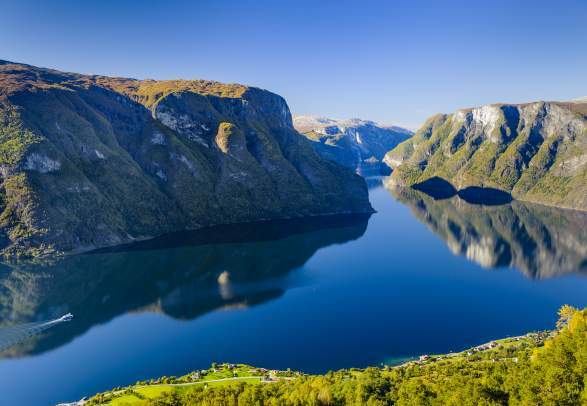 Many locals consider this fjord to be as beautiful as the Geirangerfjord, but with fewer tourists. The city of Ålesund is known for its historic centre with art nouveau buildings and numerous detailed decorations. 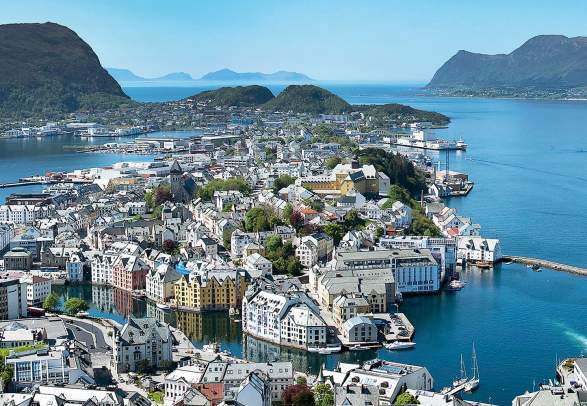 The city of Ålesund is known for its historic center with art nouveau buildings and numerous detailed decorations. Find Anne Kristin Moe’s round trip suggestions on the map and plan your route.